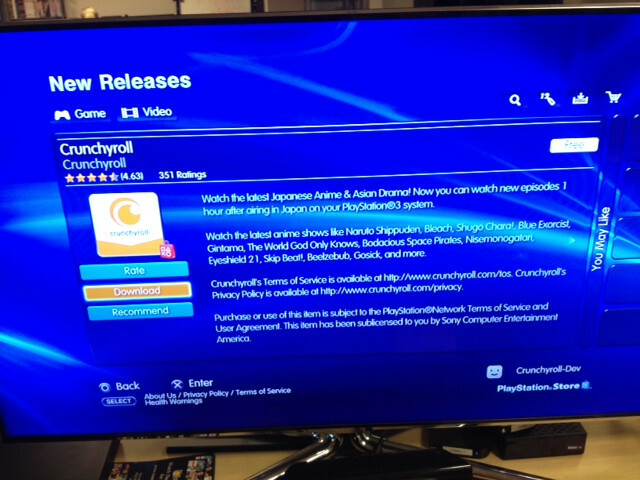 Crunchyroll - Forum - Crunchyroll is on PS3™ Now! 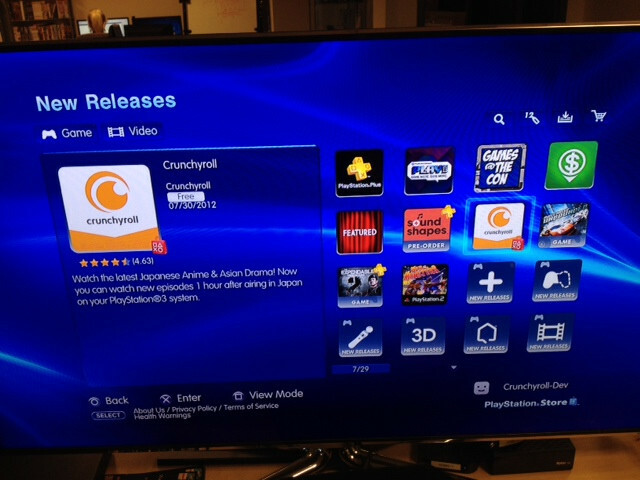 Crunchyroll is on PS3™ Now! Great news! 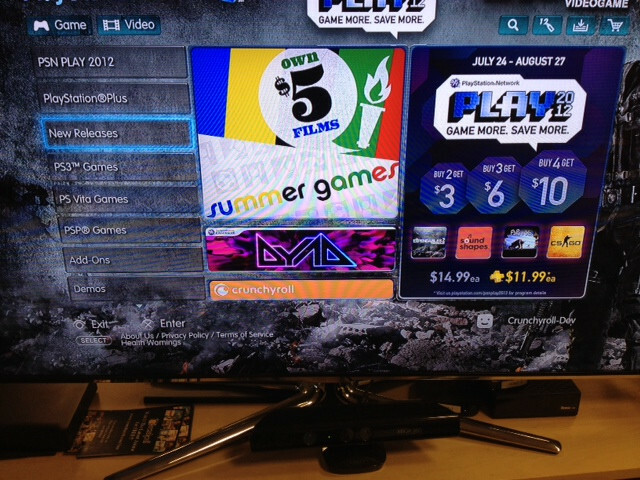 We just launched our app on PS3™. The app is available for free download. Premium members can login with their existing account to access all the benefits, including streaming the latest episodes (no ads of course! ), accessing the queue, searching for shows, and more. 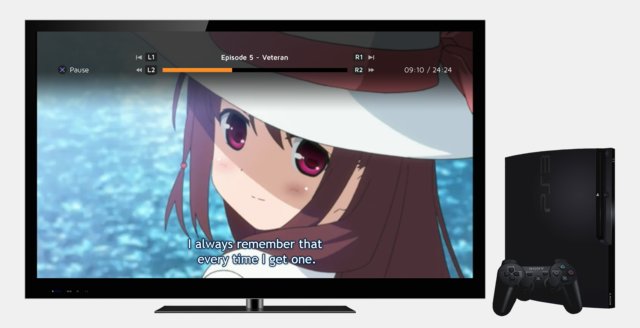 If you don't have a Premium membership, you can still download the app for free and watch the first episode of every simulcast show to try it out. You can also signup for a free trial directly on the PS3. There is currently a special 30-day free trial offer if you sign up directly on PS3™. 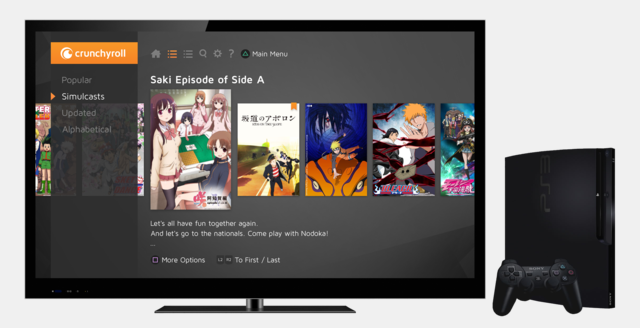 Currently the Crunchyroll PS3 app is available in the US and Canada PlayStation Network. We are working on bringing it to other countries. We are also planning on rolling out 720p and 1080p on PS3™ later this year, so stay tuned. 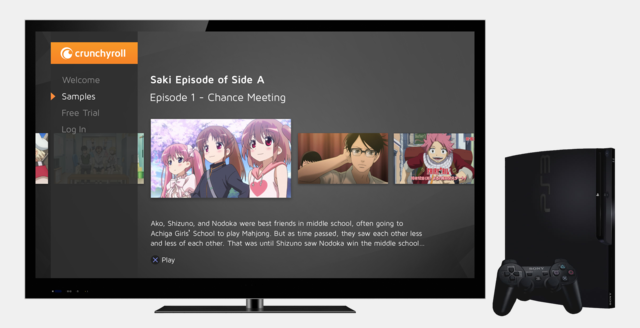 Now go turn on your PS3, download the Crunchyroll app, and give it a good rating -_-! P.S. Since this is the first release, there are some known issues and we are actively working on them. I can't wait to download! Do Sony Blu-ray players get the same apps as the PS3? Unless you have Playstation Store on it I wouldn't assume so. Thanks for adding this feature! Awesome job to the developers. I can finally stop my gf from using Netflix and tell her to get on Crunchyroll instead lol! Yay. Now my PS3 will be useful on a daily basis! Got it. Downloaded it and watched anime on it. Although I wished it was in HD. Still to see the fact that its coming out soon in HD is good enough! Thanks!